By the end of 2013, I wanted to have over 100,000 twitter followers. Yes, I set this benchmark as a goal and worked hard at trying to achieve it day after day throughout the year. I'm not going to make this goal. In the process of working at this goal, my twitter followers grew substantially to over 80,000. When I think about how many people have less than my twitter following, I'm glad to have worked on this goal. Maybe you wanted to get something publishing this year which hasn't happened. Or possibly you wanted to sell a certain number of copies of a particular book—and that didn't happen. Yes you have missed these goals which you set for yourself. 1. You are to be congratulated that you even made goals. Many people do not then they wonder why they didn't achieve what they wanted. There is an old saying, “If you aim at nothing, you will be sure to hit it.” Are you setting specific yet realistic goals for the new year? 2. If you missed your goals did you move forward with the project? Did you make progress toward your goals? 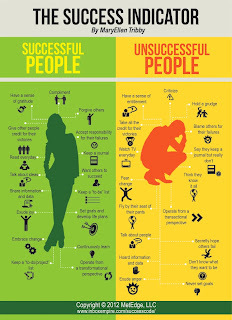 If so, this success is another achievement that you can celebrate. 3. Reset your goals for the new year. Write them down and make them specific, realistic and achievable. I'd like to sell a million copies of my newest book in the new year—but since I've not even come close to that mark in the years past, it's not a very realistic goal for the new year. 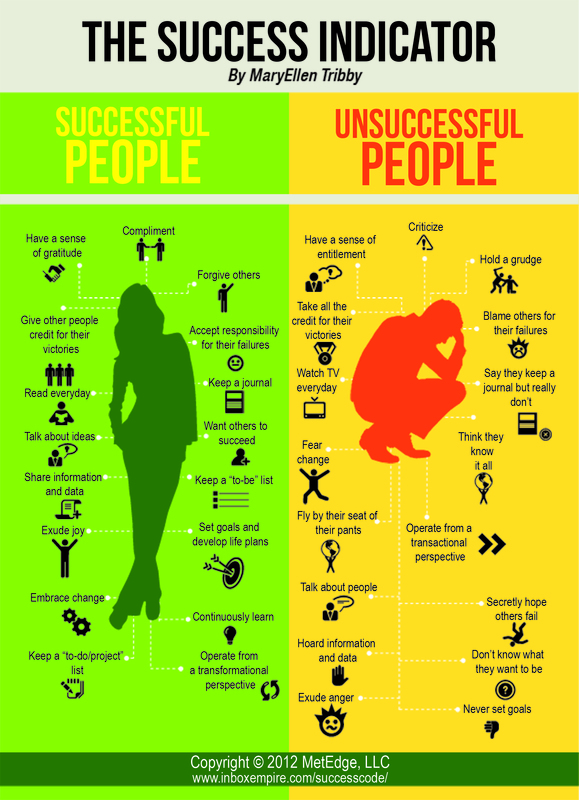 Successful entrepreneur MaryEllen Tribby created an infographic called The Success Indicator. It received such a reaction, MaryEllen turned the infographic into a free full blown report (follow the link to download it). While I haven't read all of this report, I did read enough of it to see that it contains valuable insights and information for you. I will be continuing to write goals for the new year and work toward them. As for my twitter followers, I'm setting 125,000 as my goal for the new year. It's not just some idle benchmark but realistic and something I believe I can achieve. I've also got detailed plans which I'm executing on a daily basis to grow my follow and achieve this revised goal. The very worst action you can take in my view is to set aside your goal and give up. I've watched many would-be writers miss their goal and they give up and stop trying to achieve their publishing dreams. What plans do you have for the new year and how are you going to achieve them? I'm expecting great things for you.